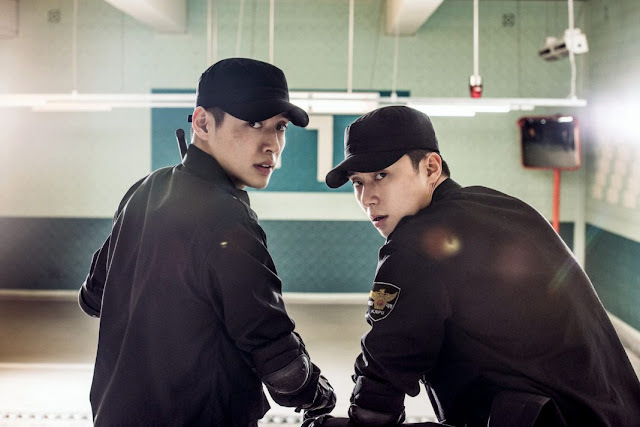 Trailer for upcoming Korean film "Midnight Runners"
Two apathetic police academy recruits who become best buddies through the tough training together witness a woman being abducted right before their very eyes. As they were taught in the academy, they quickly report the incident to the police, but the police are in no hurry to jump on the case. So the duo decides to take the matter into their own hands and rescue the woman. Action comedy "Midnight Runners" is the first commercial movie of director Kim Joo-hwan. His previous film "Koala" received much positive critical acclaim in Korea. Asian Film Vault: Trailer for upcoming Korean film "Midnight Runners"